Creamy Garlic and Mushroom Spaghetti - Leo Tunapika? Are there some foods that you never ate growing up? 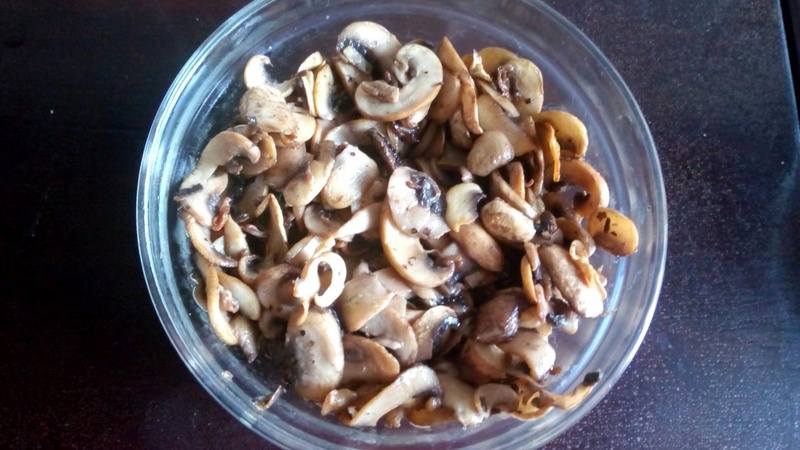 For me, mushrooms are part of that list, I don’t remember when I first ate them but I think it must have been on a pizza then I graduated to mushroom soup and eventually sauteed mushrooms. I have come to love mushrooms and I’m also happy that my toddler enjoys them too. The downside, mushrooms aren’t so readily available where I live so whenever I am around the City Park Market area I ensure I get some. The vendors there always have fresh mushrooms and their prices are fair compared to buying from the supermarkets and one can always ask for a discount :). On most occasions I just saute the mushrooms and eat them as is or in an omelette. 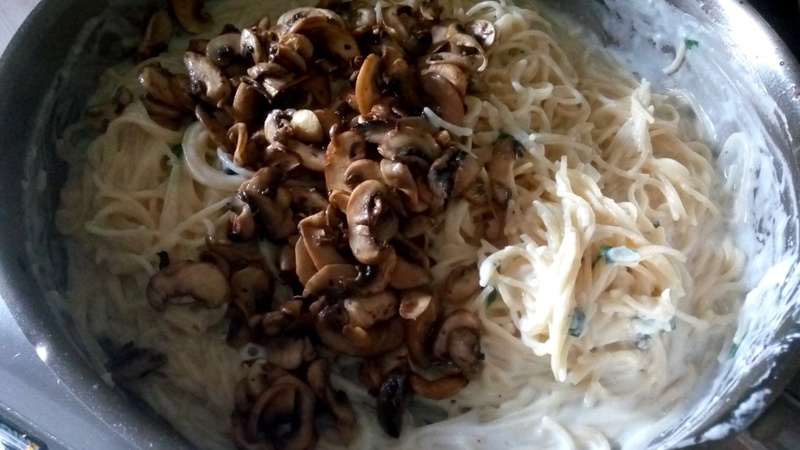 This time I paired the mushrooms with spaghetti and made a white sauce to bring everything together. 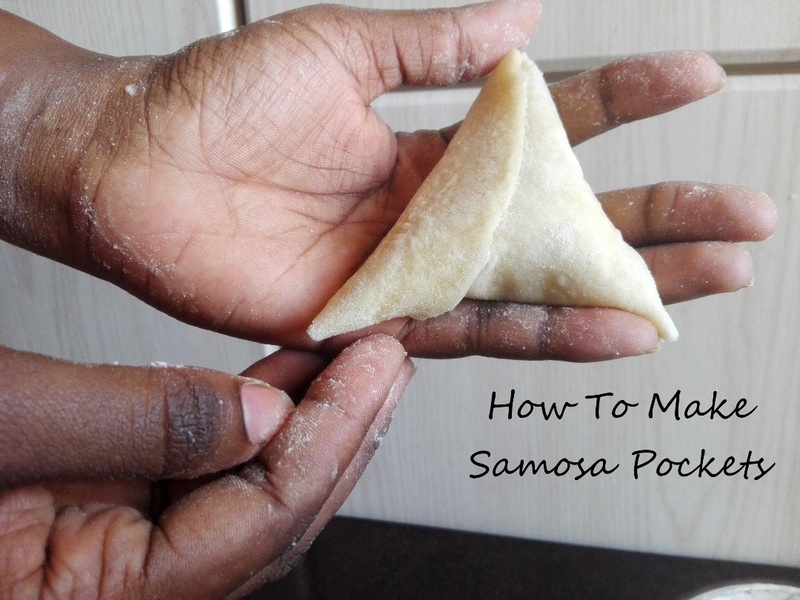 The recipe is pretty easy to do and great when you are short on time but still want to something delicious. 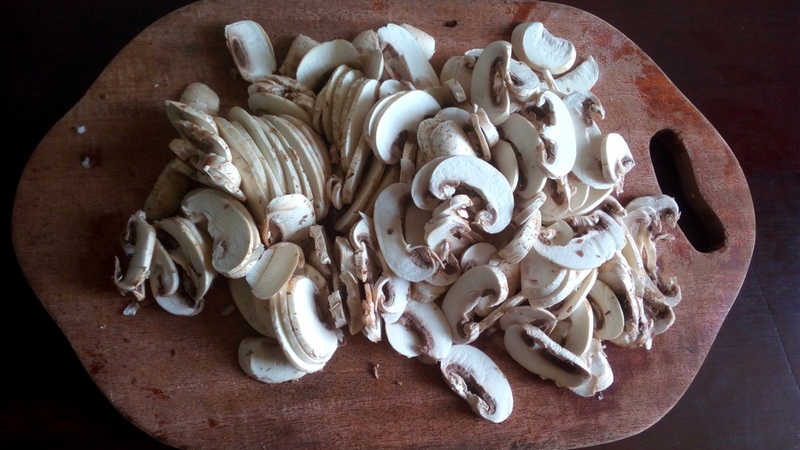 The most time was spent on cleaning and slicing the mushrooms. 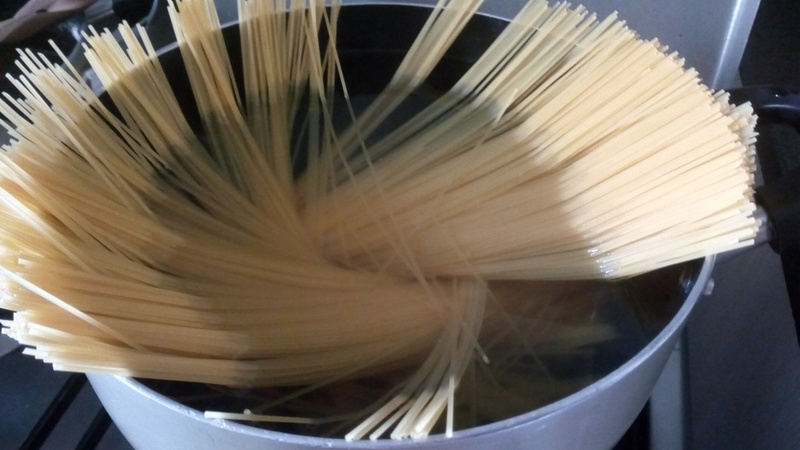 This meal prep moves pretty fast, so start by bringing a big sufuria/pot of water to a rolling boil, then salt it generously and add the spaghetti. 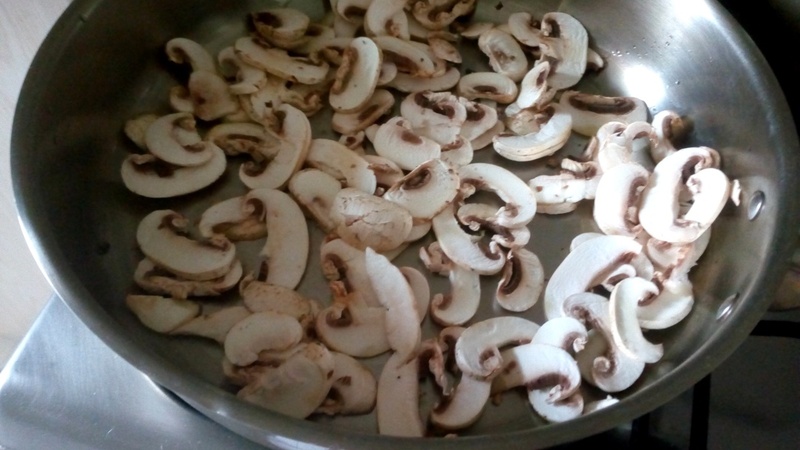 As the spaghetti is cooking, in a separate pan/ skillet over medium heat add some olive oil then saute the mushrooms. 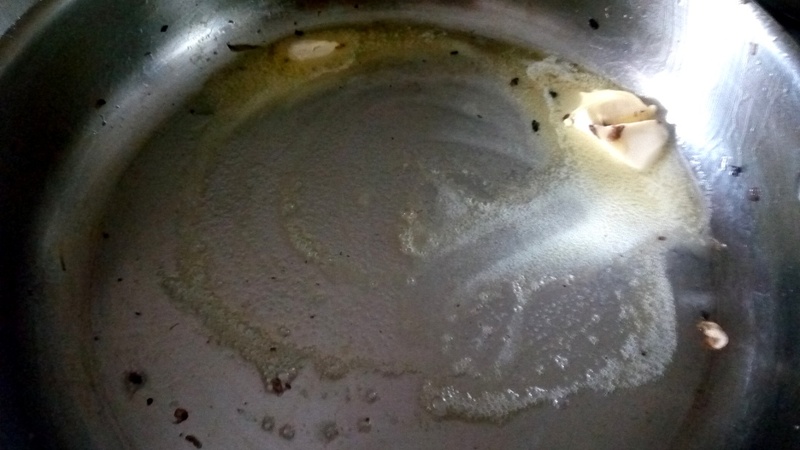 Always remember to saute in batches so that the mushrooms brown beautifully. Set aside the sauteed mushrooms when done. At this point the spaghetti is ready, you want it al dente. Drain then reserve some of that pasta water. In the same skillet that had the mushrooms, melt some butter and then add some garlic. 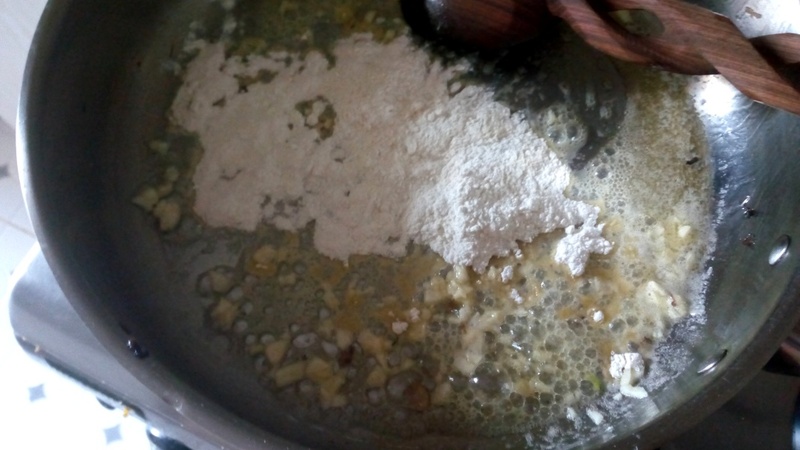 Once the garlic is fragrant, sprinkle in the flour and stir around for about 2 minutes to cook it. Now add in the milk, while stirring to avoid any lumps. 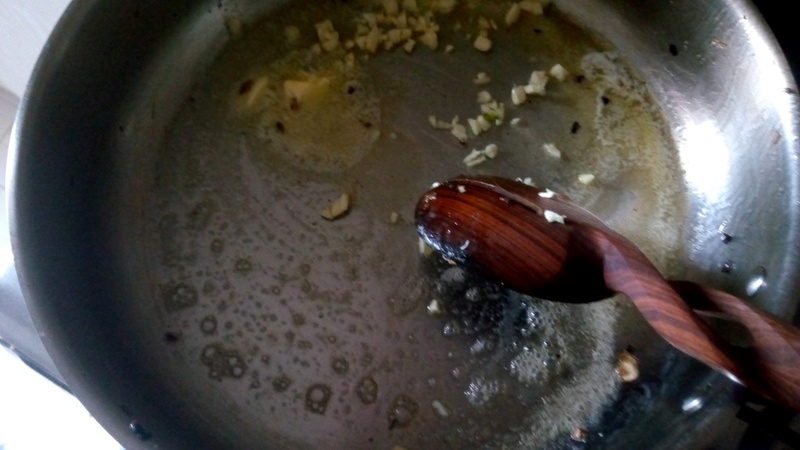 After abot 4 to 5 minutes the sauce will thicken, season with salt and freshly ground pepper. 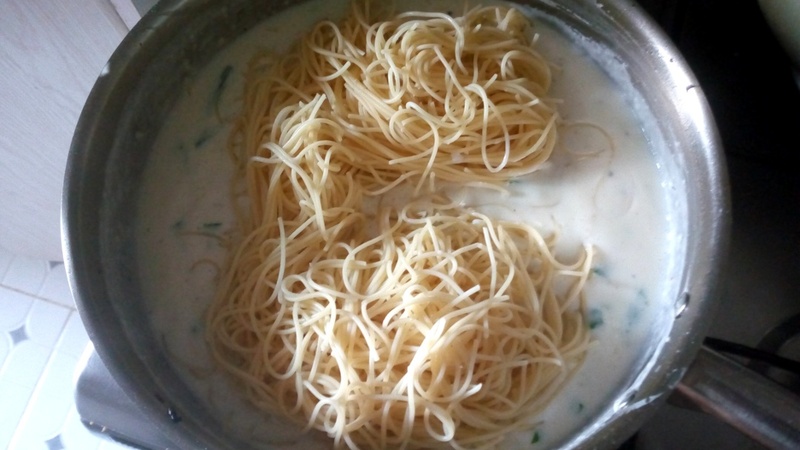 I love using nutmeg in my white sauce however, this time since I was making the sauce for this particular spaghetti dish I decided to go with a herby note hence the fresh basil. Now, the meal is just about done. 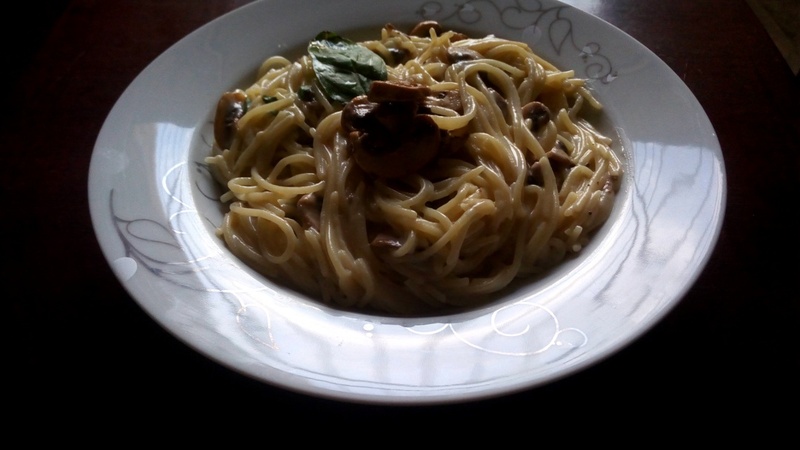 Add in the spaghetti and the sauteed mushrooms. In case the sauce is a bit on the thick side, add a bit of the pasta water t to thin it. Taste for seasoning then adjust accordingly. 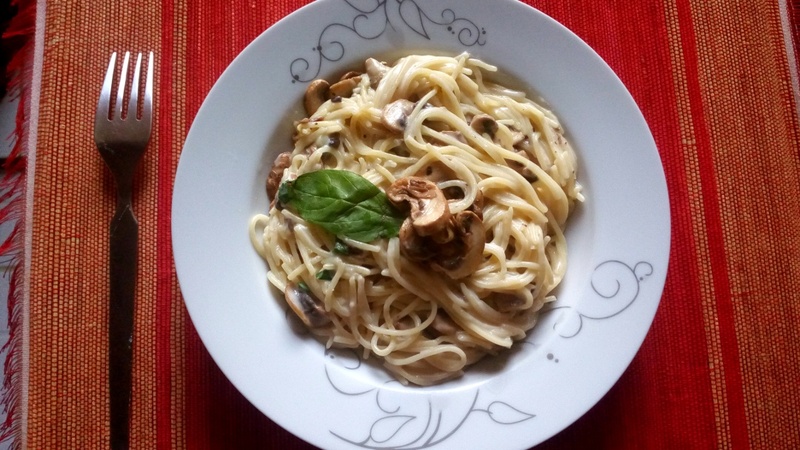 I made this when my brother was around and he totally loved it, well minus the mushrooms, he’s a picky eater. Anyway, he loved it so much he asked me for the recipe and he made some for himself. I suggested that he could use cut up fried sausages or bacon in place of the sauteed mushrooms. 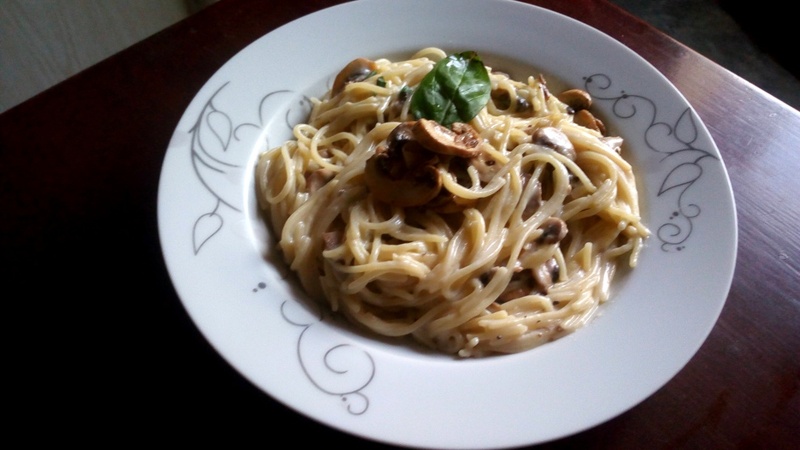 There you have it, delicious creamy garlic and mushroom spaghetti. 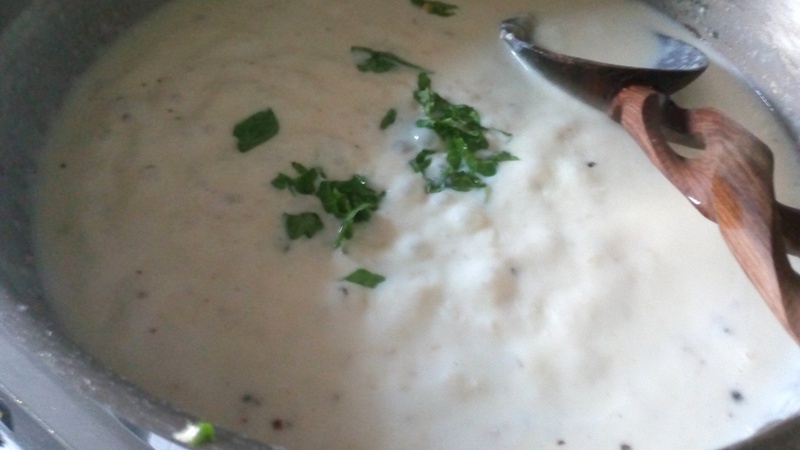 In a big sufuria/ pot add water and bring to a rolling boil then salt generously. Cook the spaghetti in the water until al dente. 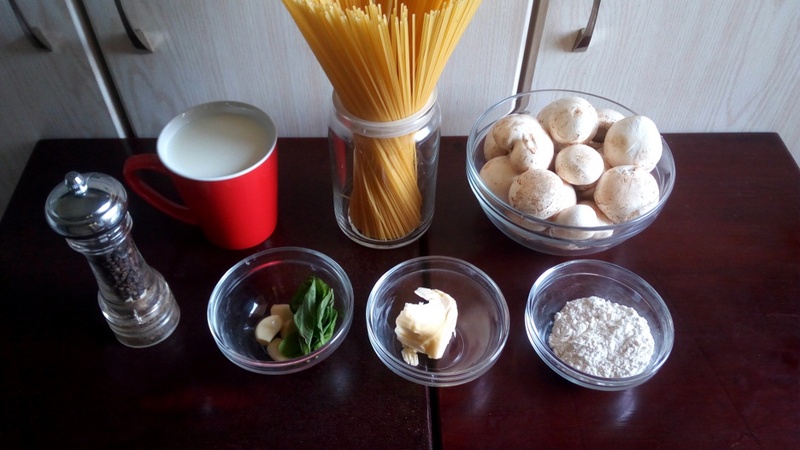 Drain and set aside the spaghetti and reserve a cup of the pasta water. In a skillet, over medium heat add the olive oil and saute the mushrooms in batches until browned. Season each batch lightly with some salt and pepper. Set aside the sauteed mushrooms. In the same skillet melt the butter. Add the garlic and stir for about a minute until fragrant. Sprinkle over the flour and stir for 2 minutes. 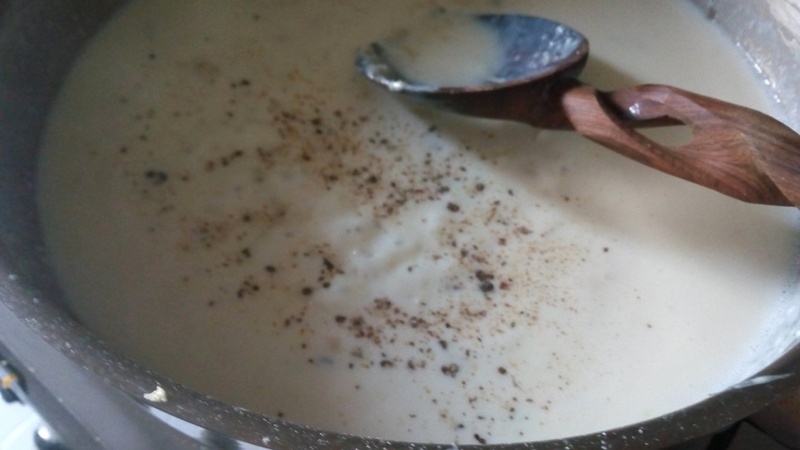 Gradually add in the milk while stirring to avoid any lumps. Stir for 3 -4 minutes until the sauce thickens, the season with salt and pepper. Add in the basil and stir. To the sauce, add the spaghetti and the sauteed mushrooms and toss to combine. In case the sauce is a bit on the thick side add some of the reserved pasta water to thin it.